In an industry where safety and reliability are paramount, every component must be produced and tested to the highest standards. Our Research and Development team ensure CEAG lighting products perform consistently and reliably in all conditions. Every component in our product range undergoes rigorous testing and conforms to industry standards. Our experts will work with you to design innovative and creative lighting solutions to meet your needs. We can provide internal and external lighting products for aircraft and ground operations. With decades of experience, our engineers have the technical expertise you need when it comes to resolving lighting issues and sourcing replacement components for existing installations. Aerospace is a dynamic and constantly evolving industry. As technology advances, suppliers need to keep up with developments and the changing needs of operators. At CEAG, we work with partners around the world to make sure we are always at the cutting edge. 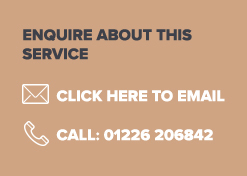 To find out more about CEAG aerospace lighting, or to speak with one of our experts, you can contact us by email on aerospace@ceag.co.uk, or complete our online contact form via the button below. CEAG has worked with some of the biggest names in the Aerospace industry, supplying lighting products to companies such as Boeing, Fel Avionics, Pinaka Aerospace and Airparts.